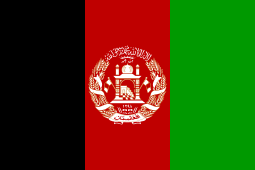 Âṣkuňu is a language of Afghanistan spoken by the Ashkun people – also known as the Âṣku, Ashku, Askina, Saňu, Sainu, Yeshkun, Wamas, or Grâmsaňâ – from the region of the central Pech Valley around Wâmâ and in some eastern tributary valleys of the upper Alingar River in Afghanistan's Nuristan province. Other major places where the language of Ashkun is spoken are Nuristan Province, Pech Valley in Wama District, eastern side of the Lower Alingar Valley in Nurgaram and Duab districts, Malil wa Mushfa, Titin, Kolatan and Bajagal valleys. It is classified as member of the Nuristani sub-family of the Indo-Iranian languages. Askun is spoken in several dialects in southwestern Nuristan. The main body of the Askunu tribe inhabits the Askugal (Kolata, Majegal) Valley, which drains southwestward into the Alingar River. These people speak a dialect which differs from that of their neighbors in the Titin Valley to the south (cf. Morgenstierne 1929). The inhabitants of the Bajaygol Valley further up the Alingar are reported to speak a third dialect. Across a mountain ridge to the east of the Askunu two tribal groups, each with its own dialect, center on the villages of (Wama) and Gramsaragram (Acanu) off the Pec River. Other dialects in which this language is spoken in are Ashuruveri, Gramsukraviri, Kolata, Suruviri, Titin Bajaygul, and Wamai. The Ashkun language is strictly passed on verbally and has no written resources that can be traced. Due to the fact that this language has no written resources, the vocabulary is unknown. An audio file is provided in the examples section below. Official Status: There are currently about 40,000 ethnic people who speak this language. None of the mentioned people are monolinguals. Th illiteracy rate among this group of people is around 5%-15%. Dialects/Varieties: Ashuruviri (Kolata, Titin Bajaygul), Gramsukraviri, Suruviri (Wamai). Not intelligible with the other Nuristani languages. http://globalrecordings.net/en/program/C16500 This link is an audio recording of short audio Bible stories, evangelistic messages and may include songs and music. They explain salvation and give basic Christian teaching in the Ashkun language. ↑ Hammarström, Harald; Forkel, Robert; Haspelmath, Martin; Bank, Sebastian, eds. (2016). "Ashkun". Glottolog 2.7. Jena: Max Planck Institute for the Science of Human History. ↑ Strand, R. F. (1973). Notes on the Nūristāni and Dardic Languages. Journal of the American Oriental Society, (3). 297. Cardona, G. (2014). Indo-Iranian languages. Encyclopædia Britannica. Grierson, G. A. (1927). Report on a Linguistic Mission to Afghanistan. By Georg Morgenstierne. Oslo: H. Aschehoug and Co.(W. Nygaard). 10× 6, 98 pp. and 3 maps. Price 2s. 9d. Journal of the Royal Asiatic Society of Great Britain & Ireland (New Series), 59(02), 368-375. Klimburg, M. (1999). The Kafirs of the Hindu Kush: art and society of the Waigal and Ashkun Kafirs (Vol. 1). Franz Steiner Verlag. Morgenstierne, G. (1929). The language of the Ashkun Kafirs. Aschehoug. Turner, R. L. (1932). The Language of the Ashkun Kafirs. By G. Morgenstierne. Extract from Norsk Tidsshrift for Sprogvidenskap, Bind ii, 1929. pp. 192–289. Journal of the Royal Asiatic Society of Great Britain & Ireland (New Series), 64(01), 173-175. Strand, Richard F. (1998). "The âṣkuňu, saňu, and gřâmsaňâ". Retrieved 2012-01-16. Strand, Richard F. (2008). "Saňu-vi:ri Lexicon". Retrieved 2012-01-16. Strand, Richard F. (2011). "The Sound System of Saňu-vi:ri". Retrieved 2012-01-16.